The Maple Leafs are once again more concerned with draft position than Playoff position, and so it is understandable that fans are angry and doing everything from tossing jerseys to demanding trades to outright bailing on the team. There is one huge bright spot though, if you care to look. 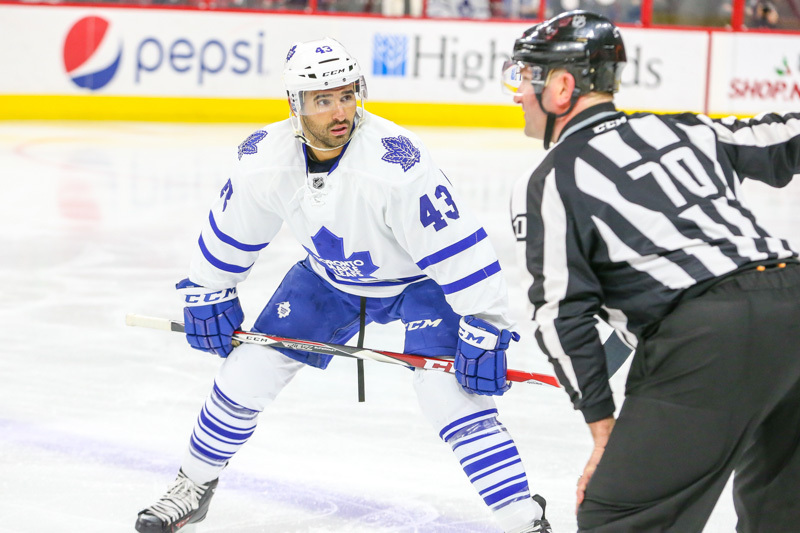 His name is Nazem kadri and counter to the historic and traditional overrating of prospects/players in the Toronto Market, it seems Kadri just can’t get any love. If I had to guess, it’s a combination of a few things that have made it so: Mainstream reporters tempering expectations (who can forget Cox saying he’ll never be more than a Mike Ribeiro? ), his penchant for up-selling himself and talking outside the box when it comes to hockey-cliches, the fact that it’s been six years since he was drafted (despite that being the norm), the fact that the Leafs (for once) brought him along slowly, all the trade rumours, his defensive troubles and probably a few other things as well. The sum of all this ends up being that the Leafs have a very good player, probably the only legitimate first line centre the franchise has drafted since Vincent Damphouse (bet you didn’t know he has five 89+ point season to his credit) whom the Leafs – it need barely be said – did not hang onto. While most Leafs fans lament the lack of a “true number one centre” they in fact already have one. Now, to compete they need another one because you need at least two top-line centres if you want to compete, but let us not lose sight of how good Kadri is. Last night, the Leafs game vs. Carolina was not fun to watch – if all you wanted was to see the team win. However, if you were into seeing arguably the team’s most important player ascend to the next level right before your very eyes, it was a hell of a thing to behold. When the ‘Canes scored to make it 3-0, you could almost see Kadri hoist the team upon his back and he came close to single-handedly tying the game. Only some iffy luck and a couple nice saves by the Carolina goalie prevented it. But don’t take my eye-test for anything more than it is – a flawed account rife with confirmation-bias. Check out these advanced stats that really tell the story: Kadri played -what I assume was – a career high 24 minutes in ice-time and while doing so he posted a Corsi-For % of 61.3. That is outstanding. 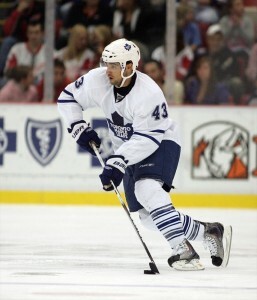 What that means is that for over sixty percent of the game when he was on the ice, the Leafs had the puck. Note that this is just regular strength. For the season, kadri has a CF% of almost 50% – a significantly good total when you consider he plays on one of the worst possession teams and played for the worst possession coach in the NHL. Secondly, Kadri has 20 even-strength points this year. Until the Leafs recent luck-fueled run of offensive ineptitude that was near the top of the NHL even though his most common line-mates for the year have been Winnik and Santorelli. His 26 total points might not look like much, but he plays more than a minute-per-game less than Tyler Bozak on the PP and rarely gets the ice with Kessel and Van Riemsdyk. He has three Power-Play points and Phil Kessel has 18. It is not unreasonable to suggest that if Kadri had played the whole year on the first PP unit he’d have 15 more points giving him 41 total – or roughly the same as no-one-doubts-he’s-a-true-#1-centre Ryan Johansson. This doesn’t even account for the extra points he’d have if he played with even average NHL wingers, which he certainly does not. What else can I say about him? Well, he draws among the most penalties in the league. He was clearly injured, but came back early when the Leafs fired their coach – which helps to also explain the lack of scoring recently. He score’s more than JVR at even strength and has only two less points than Kessel in much less ice-time and is better than both without the puck. 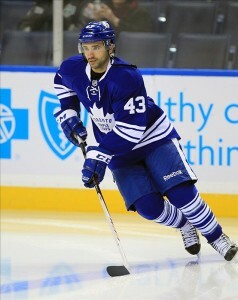 It’s not crazy to say he’s the Leafs best all-round player. In fact, I think it’s crazy to say he isn’t. There are people who think the Leafs should trade for Eric Staal (no way) or Ryan O’Rielly (in a perfect world, I wish) and while they are both good players, Kadri is better than either of them. 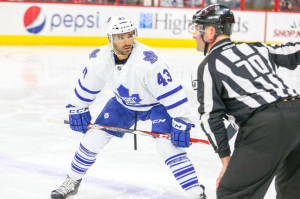 A Kadri/O’Rielly combo down the middle would be fantastic for years to come – don’t get me wrong – but my point is that the Leafs don’t need to look outside for a #1 C – they have one. The fact is, the Leafs would probably be better off drafting a C in this year’s draft than spending the capital to bring one in from outside – the time to win isn’t now, so let’s just relax a bit, and watch Kadri and Rielly blossom into super-stars. Basically, if you don’t buy into Nazem Kadri as a first-line centre, you just aren’t paying attention.